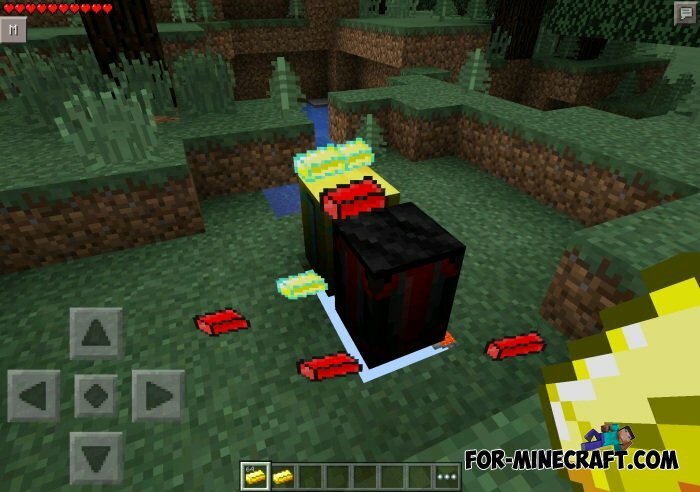 Heaven & Hell Gear Mod adds two machines in the pocket edition, which will allow you to get the demonic and heavenly ingots. These ingots are used to craft a variety of bosses and armor sets. Only two machines the first is called "Heaven", the second "Hell." It is these machines allow you to create ingots. To be crafted the ingot necessary to to hit gold ingots on the machine.